Passionate by Indonesian art and culture, Esi, Indonesian and her husband Charles founded "Kulturë", which deliver worldwide amazing handcrafted products. South Lombok is in full swing with government led tourism project Mandalika about to start the construction of several 5-star hotels. Outside their 1,300ha area, commercial activity is brisk (especially Kuta village) and the demand for architects and builders exceeds available talent. In fact businesses are struggling to find the needed skilled labor and middle managers to benefit fully from this fast growth environment. Luckily better compensation as well as higher quality of life are driving needed manpower (back) to this booming area. On one side, salaries are catching up with national standards. You can finally find experienced accountants from Mataram the capital, who are willing to relocate south. Gili islands and Bali have also reached their top and many well-trained staff are happy to move back to the main island of Lombok and stay closer to their families. Finally companies thanks to higher tourist turnover can afford to pay for executive chefs or business managers with international experience. On the other side, the quality of life has increased to more comfortable levels, while keeping its authentic charm. Kuta now boasts its own fine grocery store with Temptations Kuta , its international school with Rinjani Indah and even its feature villa with Villa Sorgas. It offers many new activities beyond the once surfing-only mecca: Ashtari Yoga and their multi vibe 5 location attract crowds to 13 classes daily; Ozone Adventure and their 36ft fast boat takes you to unforgettable shores; Kaliantan Kite Surf catering for wind sports in stunning and remote locations with consistent winds. While visitors and residents are obviously delighted at the many new options coming their way, entrepreneurs need to keep the pace with creative new entrants and well established landmark operations such as Sempiak Villas, Ashtari Lounge & Kitchen or Novotel Lombok. Even at 30% growth per year not everybody will be here in 5 years. 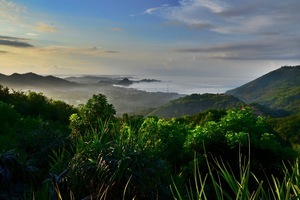 South Lombok is now on the tourist map and development can not go without better service and more professionalism. Australia would be providing funding through the World Bank to help create 10 new Balis including South Lombok and its Special Economic Zone. With a target of 20 million visitors by 2020 from 10 million in 2015, “Tourism offers the cheapest and easiest employment and contributes to the nation’s GDP and foreign exchange,” said Tourism Minister Arief Yahya. Indonesia has long depended on exports of oil and other resources to expand its economy. But now, the government is looking for other sources of growth. One area getting much attention is tourism. President Joko “Jokowi” Widodo officiated last October the inauguration of the Mandalika Special Economic Zone (KEK) on Mandalika Beach, Central Lombok regency, West Nusa Tenggara. Indonesian tidal developer SBS Energi Kelautan has taken a final investment decision on a 12MW first phase of its Nautilus project off the island of Lombok. Phase one of the project will be supported by a 30-year power purchase agreement with Indonesian state-owned power company PT PLN Persero. Landing on Lombok, an Indonesian island directly east of Bali, one would expect a landscape of tropical bungalows — at least something decidedly different from what we see here in the west. But wait, above the tree line ... it can’t be! Yes, it’s a shipping container. There’s no escape. “Wonderful Indonesia” has won Best Tourism Promotion Video in a competition held by the United Nations World Tourism Organisation. The video showcases beautiful views from various parts of Indonesia, such as Yogyakarta, Lombok and Wakatobi. 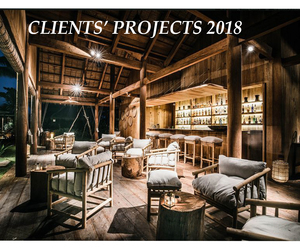 Inspired by traditional Indonesian architecture our clients and their architects study modern comfortable and sustainable designs, thus respecting Lombok natural beauty. As Nagaindo portfolio of land has matured, some assets are now ready to sustain their dream plans. Kuta Skyline development above Ashtari Estate has completed servicing Stage 1 and the first 3 ambitious villas will break ground in 2018. That includes 3 different architects and builders but all linked by an elaborate management agreement. Villas open themselves to the view of the south coast and has been designed to adapt to the lighty sloped and elongated site. Clients benefit from Nagaindo umbrella while having access to a list of reliable players. Twin Peaks beachfront in Selong Belanak bay have sold its last beachfront plot in front of Serangan surf break while a 3-star eco lodge is being built by another client. They plan to set 20 beautiful bungalows on stilts, a nice restaurant and more over 6,800 sqm of land. They have also signed up to manage a few more villas being developed in the same time within Twin Peaks. As for Gili Nusa Estate we are upgrading its access and plugging high voltage in 2018 as another eco lodge (on 4,000 sqm of land) is due to start construction in Q2 2018. The design concept is unique and will revolve around 80% wood making. Stay tuned! Thanks to a close involvement in current projects, deep familiarity with locations and practices and a well established network of key players, Nagaindo offer its clients the highest chance of success though a valuable and safe coverage while giving them access to the best resources. For more information visit our website or contact us at contact@naga-indo.com.